What are we seeing when we watch events from the Middle East on our television screens? Is it news or is it terrorist theater? Let us observe two media events which occurred on Sunday in Gaza. Sunday afternoon released hostages and Fox News journalists Steven Centanni and Olaf Wiig spoke before the cameras. The fact of their release and their statements were reported by more than 1,000 news organizations throughout the world. At the press conference, Centanni and Wiig, who were forced by their Palestinian captors to convert to Islam, praised the Palestinians. Centanni said, "I just hope this never scares a single journalist away from coming to Gaza to cover this story because the Palestinian people are a very beautiful, kind-hearted and caring people that the world need[s] to know more about." Wiig similarly praised the Palestinians. While their remarks were covered extensively, no one seemed to think that the fact that their first post-release statements were made at a Palestinian Authority sponsored media extravaganza in Gaza was significant. No one noted that the men were flanked by Palestinian "security forces," and stood next to Hamas terrorist leader and Palestinian Authority Prime Minister Ismail Haniyeh. No mention was made of the fact that the two were initially kidnapped by just such PA "security officials," or that Haniyeh is one of the leaders of one of the most fanatical jihadist organizations in the world, an organization that the majority of the "beautiful, kind-hearted and caring" Palestinians voted into office last January. That is, no mention was made of the fact that until the two men left Gaza, they remained unfree. No one asked whether they had been given the option of not giving a press conference in Gaza. And now that they have spoken, there can be little doubt that a second press conference by the two men, in Israel or the US where no one will force them to convert to Judaism or Christianity or threaten to kill them, will draw far less media interest. After their press conference, the two men became yesterday's news. Conveniently, the same day the PA released the men who its own forces had kidnapped, Reuters reported that the IDF had shot a missile at its press vehicle and wounded two cameramen – one from Reuters and one from Iranian World TV network – while they were en route to a battle taking place between IDF forces and Palestinian terrorists. Reuters, which is demanding an independent investigation into the attack, is portraying its cameraman Fadel Shada as an embattled hero who would do anything to bring the truth to the world. Yet it is unclear why anyone should believe either Shana or Reuters. Shana told Reuters that as he was driving to the battle scene, "I suddenly saw fire and the doors of the jeep flew open." He claims to have been wounded by shrapnel in his hand and leg. These are minor injuries for someone whose vehicle was just hit by a missile. But then, the photographs taken of his vehicle after the purported missile attack give no indication that the car was hit by anything. There is a gash on the roof. The hood is bent out of shape. But nothing seems to have been burned. Cars hit by missiles do not look like they have just been in a nasty accident. Cars hit by missiles are destroyed. Yet the glass on the windshield and the windows of Shana's vehicle isn't even shattered. In the photographs taken of Shana on the way to the hospital in Gaza, he lies on a stretcher, eyes closed, arm extended in full pieta mode. He is not visibly bleeding although there are some blood stains on his shirt, but then his undershirt is completely white. I did not see these pictures in the media coverage of the purported IDF attack on the Reuters and Iranian cameramen. I saw them on Powerlineblog Web site. I did not see any questions raised from either the Israeli or the international media on the veracity of Shana's tale, which of course, provides a nice balance to the Centanni-Wiig hostage story. AS IS the case with the Palestinian war against Israel, one of the most notable aspects of Hizbullah's latest campaign against Israel has been the active collaboration of news organizations and international NGO's in Hizbullah's information war against Israel. 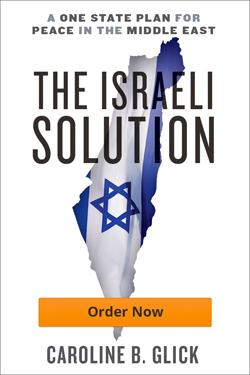 Like their rogue state sponsors, subversive sub-national groups like Hizbullah, Fatah and Hamas, see information operations as an integral part of their war for the annihilation of Israel and defeat of the West. And their information operations are more advanced than any the world has seen. As becomes more evident with each passing day, they have successfully corrupted both the world media and the community of NGOs that purportedly operate in a neutral manner in war zones. It is not a coincidence that I saw the pictures of the Reuters' vehicle on Powerline and not in the media coverage of the purported attack. Both the global media and the international NGO community abjectly refuse to investigate themselves. As democratic governments and their militaries have proven incapable of dealing with the phenomenon (in part because they seek to curry favor with the media and the international NGO community), the blogosphere has taken upon itself the role of media watchdog. BLOGGERS HAVE become a critical component of the free world's defense in the current war. During the Hizbullah campaign in Lebanon, bloggers scrutinized coverage of the war in a way that has never been done before. Their work has exposed the dirty secret of the Middle East that the media has hidden for so many years: The global media and the international NGO community, which profess to be neutral observers, are in fact colluding with terrorist organizations. The blogosphere, and particularly Little Green Footballs, Powerline, Zombietime, Michelle Malkin, and EU Referendum, have relentlessly exposed the systematic staging of news events, fabrication of attacks against relief workers, and doctoring of photographic images by Hizbullah with the active assistance of international organizations and the global media. The International Committee of the Red Cross, with its internationally mandated status as a protected organization, is particularly culpable. The blogoshere – and specifically EU Referendum and Zombietime Web sites – have shown that Red Cross employees in Tyre and Kana fabricated from whole cloth a tale of an Israeli airstrike against Red Cross ambulances in Kana on July 23. In an exhaustively documented report, "How the Media Legitimized an Anti-Israel Hoax and Changed the Course of a War," Zombietime showed how Red Cross employees took an old, rusty ambulance and alleged that the IAF had attacked it with a missile that blew a hole straight through the middle of the red cross on the ambulance's roof. The Red Cross allegation was reported as fact by such "credible" news organizations as Associated Press, Time magazine, the BBC, ITV, The New York Times, The Guardian, The Age, MSNBC, The Los Angeles Times and the Boston Globe. Amnesty International and Human Rights Watch both published accounts of the attack as evidence of Israeli "war crimes" in Lebanon. Zombietime clearly proved from simple scrutiny of the photographs taken of the ambulance, that the hole in the cross was not the result of a missile attack but the work of the ambulance manufacturer. It was the hole for an air vent. The pock marks on the roof were the result of age and decay. There had been no fire in the ambulance. There was no attack. It was a complete fabrication, concocted by Red Cross employees who enjoy their protected status because their organization has pledged its neutral status in this and all wars. d Cross relief workers actively participated in the staging of a perverted media extravaganza where the bodies of dead children were paraded about before the waiting camera crews for hours and hours. Rather than demand that the ICRC account for the clear breach of its binding commitment to neutrality, and rather than attack the Lebanese Red Cross for its active collaboration with Hizbullah, the international media has attacked the bloggers. They are brushed off as "Israel supporters," and "right-wing extremists." The aim of these brush-offs is to convince "right thinking" citizens that they oughtn't have anything to do with these champions of truth and human decency. As each day passes, the governments, formal and informal legal apparatuses, and media of free societies show themselves to be less and less capable of contending with the information operations conducted against their societies by subversive forces seeking their destruction. As each day passes it becomes clear that the responsibility of protecting our nations and societies from internal disintegration has passed to the hands of individuals, often working alone, who refuse to accept the degradation of their societies and so fight with the innovative tools of liberty to protect our way of life. The vigilance of just a handful of bloggers brought us the knowledge of the corruption of our media and the network of global NGOs that we have come to rely on to tell us the "objective" truth. It is up to all citizens of the free world, who value our freedom to recognize this corruption, applaud the bloggers and join them in refusing to allow these corrupt institutions to cloud our commitment to freedom.